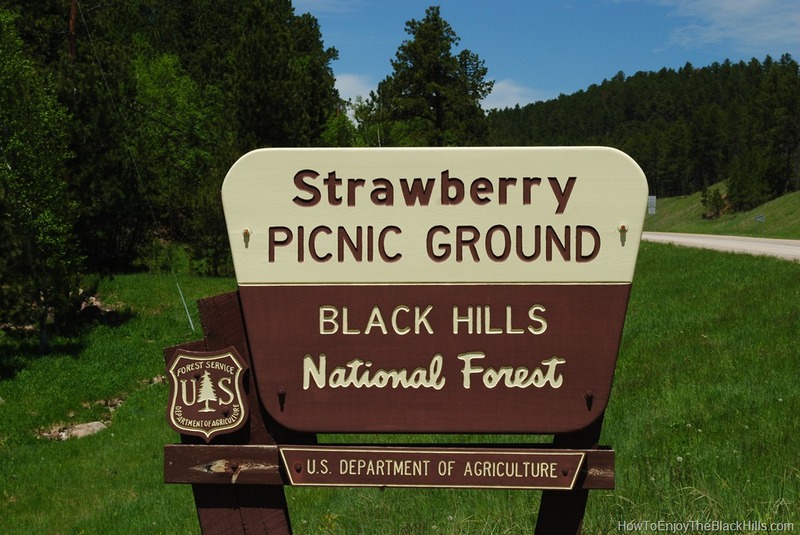 Strawberry Picnic Area is located on Strawberry Hill about 5 miles south of Deadwood on Highway 385. 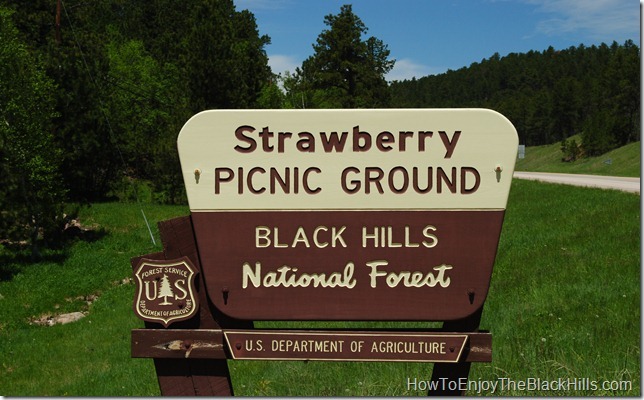 This is a great day use area in the Black Hills National Forest and one of twenty-six picnic areas found throughout the forest. There is a sign as you enter warning the road is only suited for vehicles shorter than 20 feet. The gravel road is a bit bumpy and there is no turn around at the end, so leave your big rig at home. This is a smaller picnic area with five or six picnic tables and a couple of charcoal grills. There is a vault toilet and at least one fire ring. There is no fresh water or electricity. Enjoy an after lunch walk on the nice paved path connecting the picnic ground to the small pond. Bring your pole and your SD fishing license. 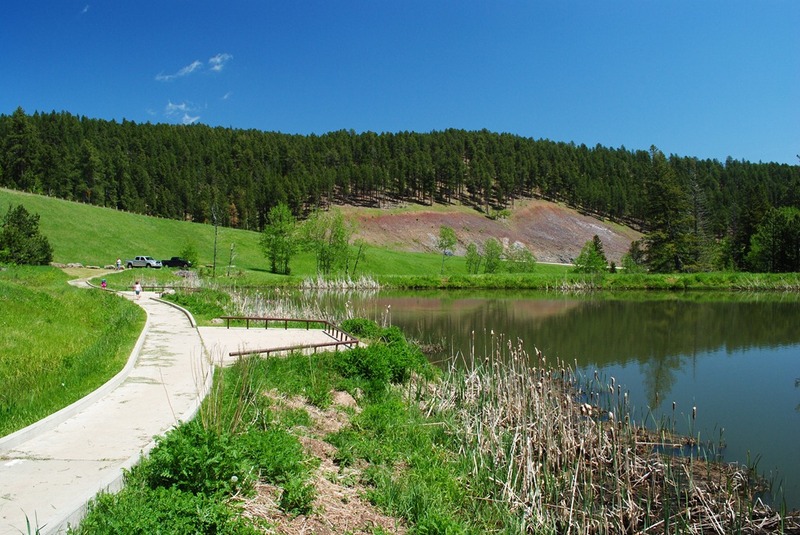 The small pond is stocked with trout each spring. 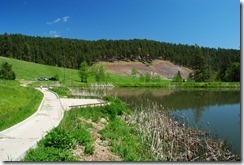 There are a couple of fishing platforms located along the pond’s edge. Since this is a day-use area there is a $4 per day fee. You will find the self-pay station located near the vault toilet. This area is only open during the summer season, be sure to enjoy it while you can. And, if you saved room for desert.. remember you can grab some truffles from the Chubby Chipmunk just five miles up the road. The Deadwood Trailhead for the Mickelson Trail is also located just up the road in Deadwood, or head south to the Englewood Trailhead.